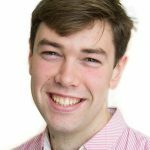 You are here: Home > What can mad cow disease tell us about dementia? Earlier this month, at the Alzheimer’s Research UK Conference in Harrogate, Dr Jason Sang presented his latest research on how harmful proteins can spread through the brain. He revealed fascinating insights on how we can learn from the science behind diseases like Creutzfeldt Jakob Disease (CJD) in humans, or BSE in cattle (also known as mad cow disease), to make progress in tackling the diseases that cause dementia. Many diseases including those like Alzheimer’s occur when important proteins in our bodies go wrong. Proteins are the building blocks of our body’s cells. They need to be in the right place, forming the right shapes and in the right numbers for any cell to do its job properly. If just one of these factors is not as it should be, things can start to go wrong. One protein, known as the prion protein is found on the surface of cells in number of different organs and tissues in the body. Its exact function in healthy cells is complex, but it is how it acts during disease that is unlocking clues to dementia. The prion protein is infamous for its role in the development of the rare diseases CJD and BSE. These rare diseases develop when an abnormally-folded prion protein triggers a healthy one to also fold incorrectly. This kicks off a chain reaction that causes a large build-up of prion protein inside nerve cells causing disease. In CJD, this abnormal protein can be passed from human to human or even animal to human through contaminated tissue, although not through the air or by direct contact. But how does this prion protein have anything to do with the diseases like Alzheimer’s that cause dementia? 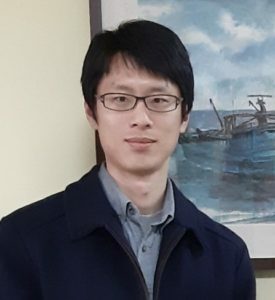 Jason Sang, from the University of Cambridge, took up this question in his PhD project. 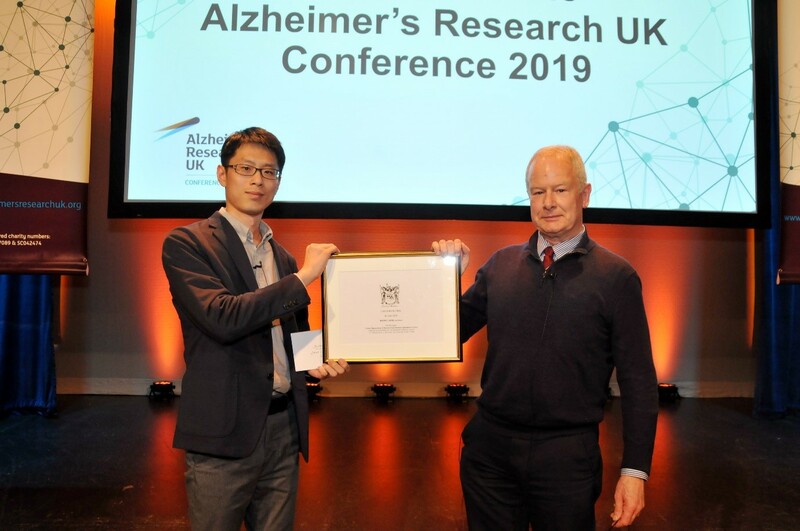 Dr Sang, has now received a top award at Alzheimer’s Research UK’s leading dementia conference for his work to understand how these proteins spread through the brain. In his award-winning paper, Dr Sang used a special experimental system to study how the prion protein spreads through the brain. 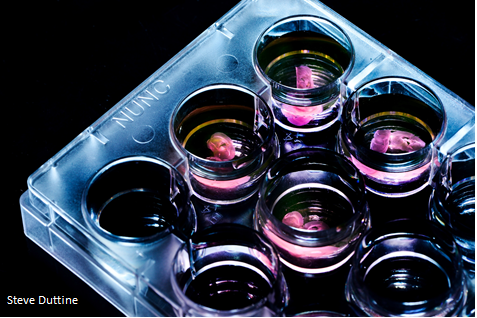 His research technique involved carefully processing samples of synthetic prion protein from mice. Using powerful microscopes, Dr Sang measured how the proteins spread through the brain. His work also sheds more light on the mechanism of another protein called alpha-synuclein. Alpha-synuclein is the protein that builds up in the brain in dementia with Lewy bodies, the third most common cause of dementia, as well as in Parkinson’s disease. Dr Sang found that although alpha-synuclein spreads through the brain in a remarkably similar way to the prion protein, the spread is much slower. Studying this process for Dr Sang is painstaking work. It involves studying the proteins in very controlled studies at constant temperature, shaking his samples at a precise speed. Everything must run like clock-work, day after day in the laboratory. With your support, Alzheimer’s Research UK is now funding a £50,000 research study at University College London to look at blood-based markers of disease. It is hoped this will help scientists measure disease progression in prion-like diseases. It’s work like this, that will give us more insight into the disease itself and give us vital clues about how we can also overcome the diseases that cause dementia.